Nobody was happy to learn that the HTC Aria would be locked down in the same way as its predecessor, the Backflip, and be unable to install non-Market apps. Fortunately, HTC has given Aria owners a sort of “fix” through an update in their desktop client. 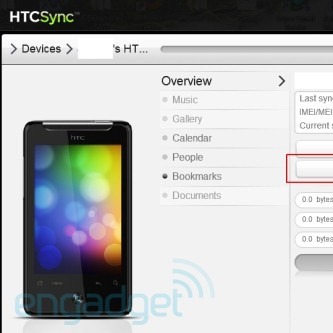 The newest version of HTC Sync for Aria (which you can download for Windows here) gives users the ability to load an APK onto their phone, which means they now have access to a host of new apps that are not available on the Market. However, HTC did previously stress that the update would not include this feature, so you may want to update in case this feature is removed in the near future.